Conference registration wasÂ open until 20th July 2015. Please note that regular delegates have the option to choose among two different conference packages, the basic oneÂ including only conference meals/services (Option 1) and a package including 6 nightsâ€™ accommodation in the guest house of the conference centre (Option 2). For accompanying family members of delegates, aÂ special package isÂ offered. Conference packages have to be booked throughÂ our organisation partner “Landfly Travel Services”.Â The booking must be done by e-mail to Mrs.Â Elena Franzoni Â (Email: franzoni@landfly.gr | info@landfly.gr). Your requestÂ will be manually processed, resulting in an emailed invoice containing payment information. Payment will be possibleÂ by credit card or via bank transfer.Â Details are given below. Conference attendance for non-delegates is limited due to the size of the conference centre and must therefore be pre-acknowledged by the organisers. Please contactÂ info@isars.orgÂ as soon as possible if you wish to attend without being registered as delegate. Please note that all regular delegates and non-delegatesÂ in the conference are required to additionally pay their 2015 membership fee for ISARS during their registration in Delphi.Â Accompanying family members of regular delegates may participate in the conference without becoming member of ISARS. The membership feeÂ includes a printed copy of the journal SHAMAN. See below for details. If you book an optionÂ without accommodation, please visit Â the “Accommodation” page for a selection of hotels. All regular delegates and conference participants without own presentation will be asked to pay their 2015 membership fee during their registration in Delphi. Accompanying family members of regular delegates may participate in the conference without becoming member of ISARS. Membership includesÂ a printed copy of the current issue of the academic journal SHAMAN. Cocktail reception (Friday 09th October). Visit to the archaeological site of Delphi (Sunday 11th October) â€“ Additional entrance fee to archaeological site to be paid on the spot. Excursion to Galaxidi with Gala Dinner (Monday 12th October). Please note that accommodation is not included in this conference package. If you choose this option, you are required to proceed with hotel booking as soon as possible due to limited availability. Delphi is one of the most important archaeological sites in Greece, welcoming thousands of visitors every year and most of the hotels have only few rooms. A number of Hotels can be booked at reduced rates through our organisational partner Landfly, please visit the “Accommodation” page for details. This Option is only available forÂ speakers in the conference and their family members. All services mentioned in “Option 1”. Six (06) nights fromÂ 8th – 14th October in a single or double room at the Guest-house of the European Cultural Centre of Delphi,Â including breakfast. The ECCD Guest-house www.eccd.grÂ is aÂ small modern hotel built amphitheatrically inside the European Cultural Centre of Delphi, overlooking the Amphissa olive grove and the Itea gulf.Â Rate are calculated per room. Cocktail reception (Friday 09thÂ October). 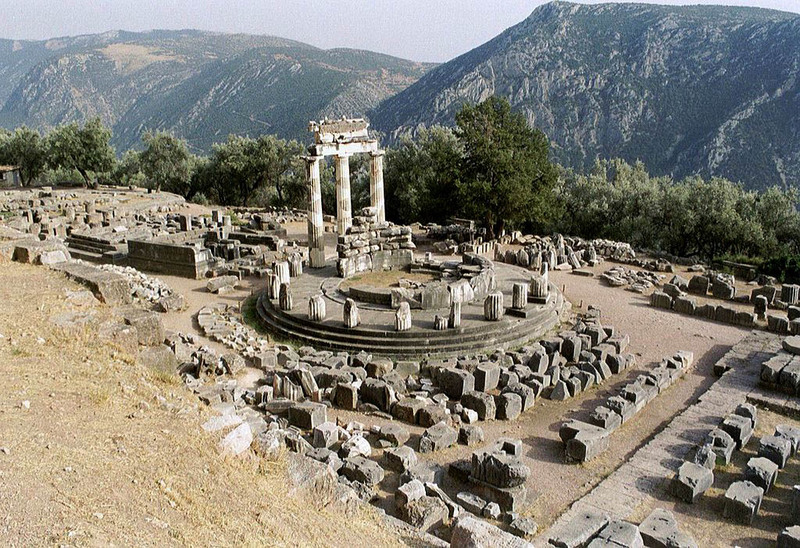 Visit to the archaeological site of Delphi (Sunday 11thÂ October) â€“ Additional entrance fee to archaeological site to be paid on the spot. Excursion to Galaxidi with Gala Dinner (Monday 12thÂ October). Attendance in the conference is free but requires becoming a member of ISARS. Membership fees, includingÂ a printed copy of the journal SHAMAN have toÂ be payed in Delphi during the registration process. Conference attendance for non-delegates is limited and must be pre-acknowledged by the organisers. Please contactÂ info@isars.orgÂ as soon as possible. All cancellation requests must be submitted in writing via e-mail to info@landfly.gr .Telephone cancellations will not be accepted. Cancellations received by May 08, 2015 will receive a refund of meeting registration fees minus Euro 50,00 administrative fee. Cancellations received after this date, are not refundable. The participation fee does not include insurance of any kind. Landfly Travel Services, as mediator, is not liable for any injuries or losses sustained as a result of any cancellations, accidents, illness or other occurrences that may arise in connection with the conference.